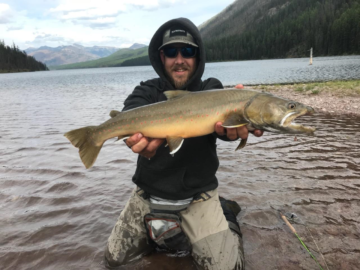 Salmon Forks Outfitters offers a one-of-a-kind horseback fly fishing trip to the headwaters of the famed south fork of the Flathead River. 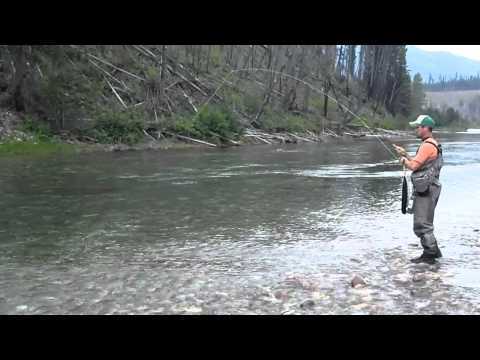 Home of the native Westslope Cutthroat trout, “Montana’s State Fish” the South Fork of the Flathead River is born in the nation’s most beautiful wilderness, the Bob Marshall. The South Fork of the Flathead river originates at the confluence of Danaher Meadows and Young’s creek in the Bob, flows north for its first unimpeded 40 miles through the heart of the Bob between the Continental Divide on the east and the Swan Range on the west. The South Fork is a great river for the elite angler as well as the novice & the beginner, very easy to wade, lots of gravel bars, easy casting & you will catch nice fish! The trout are all wild, no hatchery grown fish here! Here, you will find one of the best Westslope Cutthroat trout populations not only in Montana, but nationwide. Through the summer and fall, you can stay at our camp that is within a minutes’ walk of the river. The South Fork Flathead River stretches for miles, and you have full access to all of it. It doesn’t matter where on the river you choose to fish; we’ve had guests not far from the camp catch some of the biggest fish we’ve ever seen.